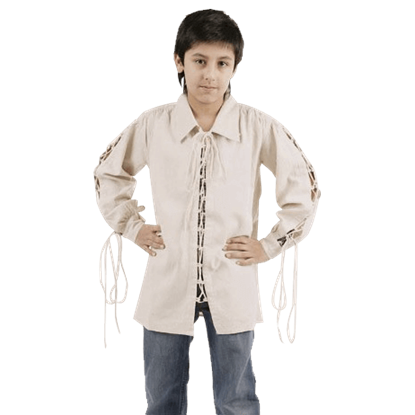 Versatility is the name of the game when it comes to this Boys Classic Medieval Shirt. 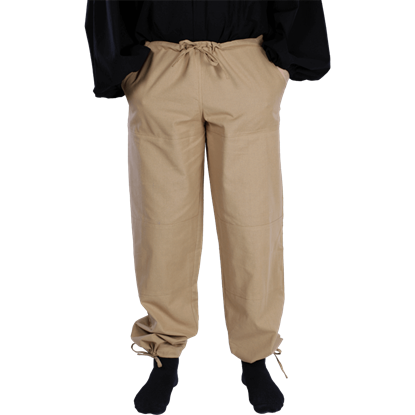 The traditional style gives it unlimited potential, allowing it to be worn with many different ensembles where it will always look good. If you want to spot a noble, then you need only look for the ruffles on a shirt! 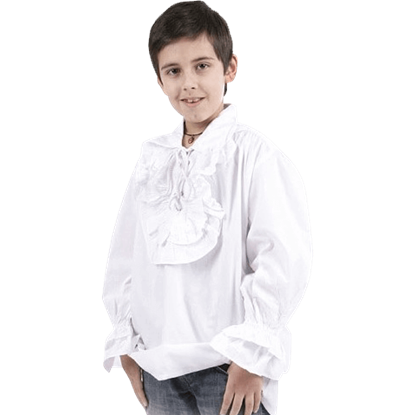 The Boys Ruffled Renaissance Shirt allows young boys to transform into stylish dandies who will be all the envy of those who surround them. If two is better than one, does that mean that two skirts are better as well? Yes it does! 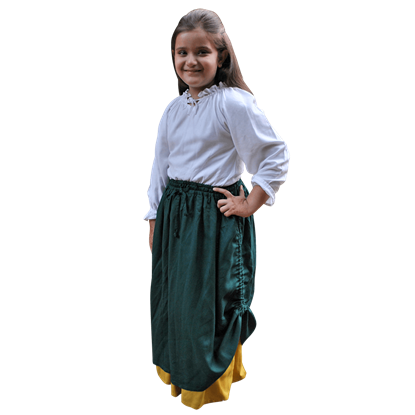 This Girls Double-Layered Skirt consists of two skirts in different colors that have been sewn together at the waist for a double-dose of style! This is one dress that suits princess and peasant alike! 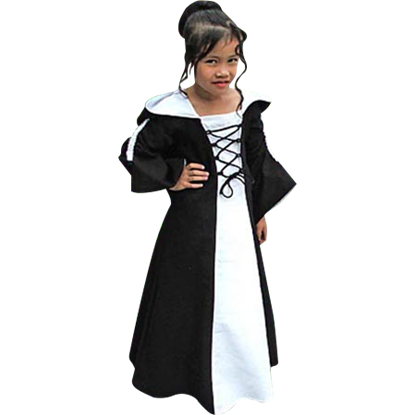 The Girls Medieval Maiden Dress is designed to accent youthful beauty while showing off a classic style that suits a girl of any rank or status from the medieval era. 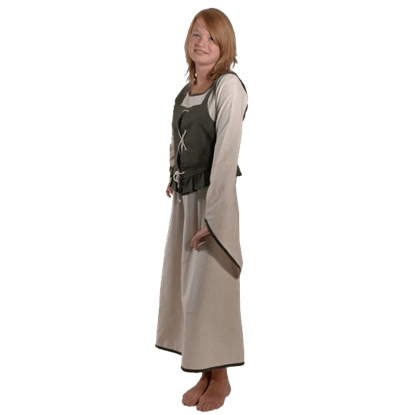 As its name suggests, this casual medieval dress is perfect for a girl to wear when she heads to the market! 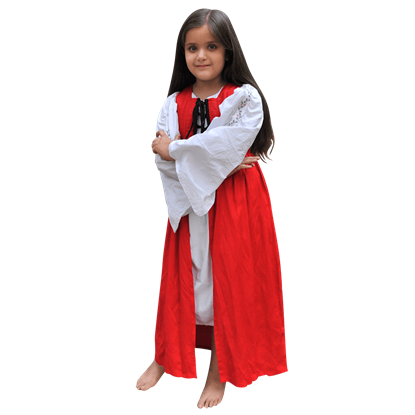 The Girls Medieval Market Dress is striking, offering an open design in a trio of vibrant colors for any young girl to feature. Versatility is the name of the game when it comes to this Girls Medieval Overdress. 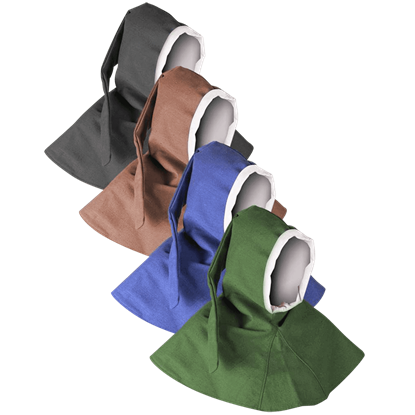 Offered in either black or green, it is adorable in its design and can be paired up with a variety of different garments to suit different styles. Fairytales are filled with beauties born to be princesses, despite their humble beginnings. 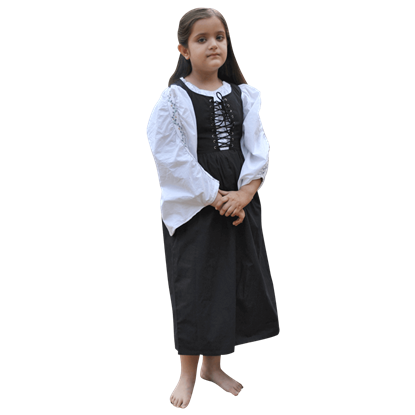 The Girls Medieval Peasant Dress allows any child to bring to life her beauty, while still showing off the humble roots of her beginning.